A hydraulically operated variable fan is used to deliver seed from the metering units to the coulters. 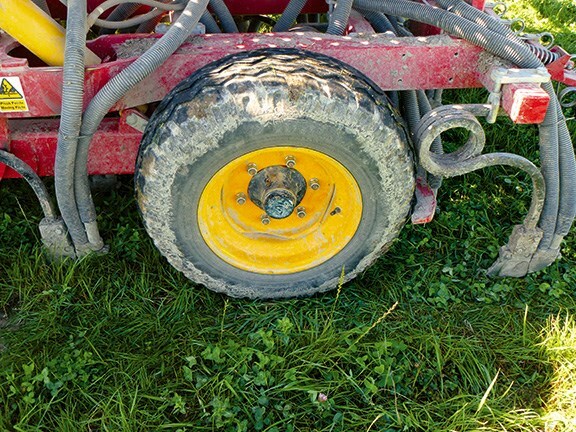 Coulters extend out behind the transport wheels to maximise and give a 3m sowing width. A tine harrow behind the coulters helps to close the slot and cover the seed, although a tyre roller would help in certain situations. 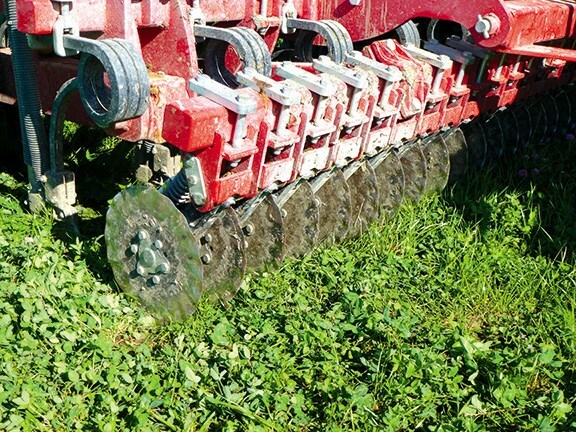 A row of wavy discs across the front of the drill are used to cut a slot to help get the coulters into the ground. 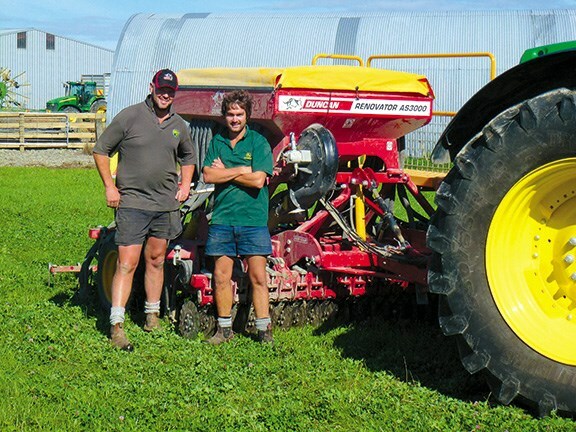 Jason Scott (left) and his team at Scott's Ag are pretty pleased with their AS3000. Scott's Ag says its Duncan Renovator AS3000 renovates tough and tired pasture. Brent Lilley finds out for himself in this comprehensive field test. After immersing myself in Duncan Ag drills – the DD30 and the DDC45 – I headed off to the Wairarapa to catch up with Scott's Ag for a firsthand look at its Duncan Renovator AS3000. Scott's Ag operates out of Carterton in the Wairarapa, offering farmers a full range of contracting services, including forage harvesting, baling wrapping, cultivation, seeding and fodder beet harvesting. The AS3000 tine drill the company owns was bought last year to compliment a disc drill it was already running, to enable drilling in all conditions. The team quickly racked more hectares with the AS3000 than the disc drill they used during the previous season. The Renovator Series of drills from Duncan Ag has been around for some time now and it's usually held in high regard by anyone who has owned one, as a strong, simple, reliable drill that can handle whatever is thrown at it. The biggest difference with the AS3000 from other Renovator models is the change from a simple gravity drop seedbox to air-seed delivery for greater accuracy. 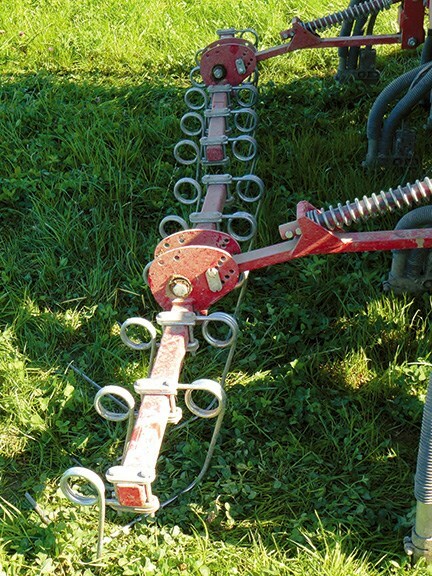 At the front, a simple drawbar is used to hitch the drill to the tractor, making for easy setup. The main frame of the drill is built from hefty box section with two wheels on hydraulic rams to lift the drill out of work and for transport. The two hoppers mounted on the drill with separate metering units each have a 700-litre capacity and they can both be accessed from a single platform down the side of the drill. Inside these hoppers are the cleverly-hidden distribution heads, which are out of sight and out of the weather. Cameras in each bin make it easy for the operator to keep an eye on how the seed is running. Although it was looking rather green and lush when I visited, they assured me the ground can get bloody hard and dry, and it is in these conditions that the AS3000 tine drill will outshine their disc drill. With 24 coulters spaced out over its three-metre width, it gives a 125mm row spacing that I was pleased to see. The coulters themselves use a 25mm coil spring tine with a tungsten tipped Duncan 'T' boot on it. This is a simple, hassle-free setup for an opener that will keep maintenance and replacement costs low. To help get the coulters into the ground, there is a row of wave discs up the front of the drill that cut a slot in the ground for the coulter. Another benefit is the amount of tilth the coulters create when working to create a bed for the seed, although I'm surprised they weren't towing a roller behind the drill to ensure soil-to-seed contact and conserve moisture. One comment made against the drill was its ability to find stones and rip them to the surface. Once again, as with the other drills, the AS3000 uses a European metering system that is simple, reliable, and accurate. Although the big difference from the DDC45 is that this drill uses a mechanical drive from a land wheel that runs off the wheel of the drill. 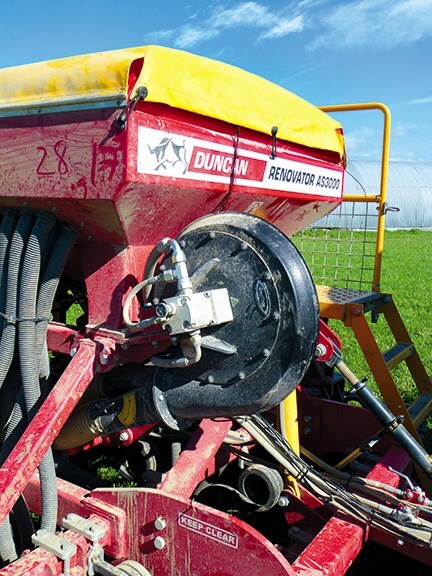 This is a simple system that is tried and tested with very little that can go wrong — although when it comes to calibrating the drill, it is back to the old method of turning the handle X amount of times, weighing, then calculating out seeding rates. There is plenty of opportunity for mistakes in this system, compared to how simple it was to calibrate the electronic drive system found on the DDC45. 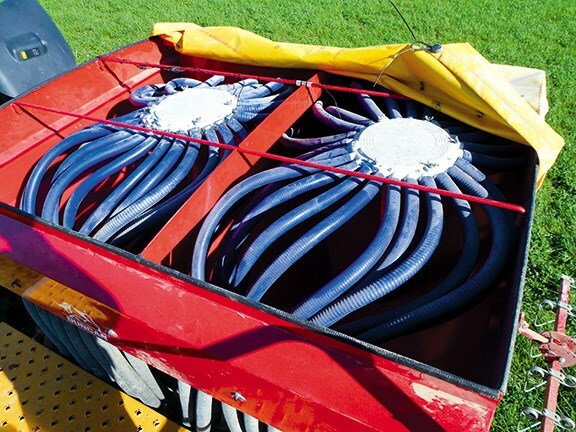 Air flow is delivered from much the same setup as the other drills — a hydraulically-driven fan mounted up the front, of which the speed can be varied through the oil flow from the tractor. A butterfly valve allows the air flow to each metering unit, depending on the products being used. A Farmscan display box in the cab of the tractor is a simple affair that primarily shows the amount of area drilled, as well as the fan speed. The AS3000 is a natural continuation of improvement from earlier Renovator drills that many people will have experienced in the past. Duncan Ag has taken the simple, solid, well-proven principles and combined them with an accurate, easy-to-use air delivery system to give exceptional results. 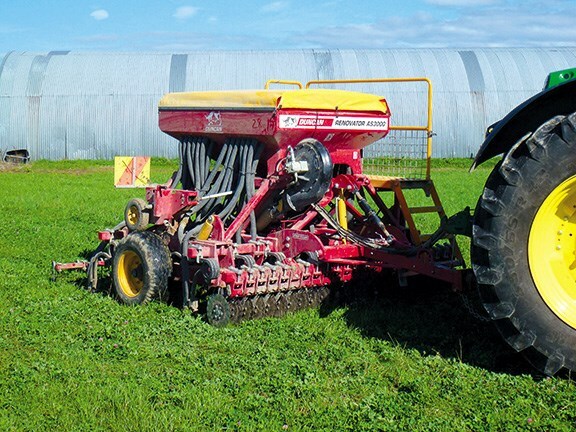 Tine drills seem to be gaining popularity again with farmers in certain situations and the Duncan Renovator is a great place to start looking if you are in the market for a new drill. I've stolen the final word from the guys at Scott's Ag, which I think sums this machine up best: "It's called a Renovator and it does exactly that — it renovates tough and tired pasture."